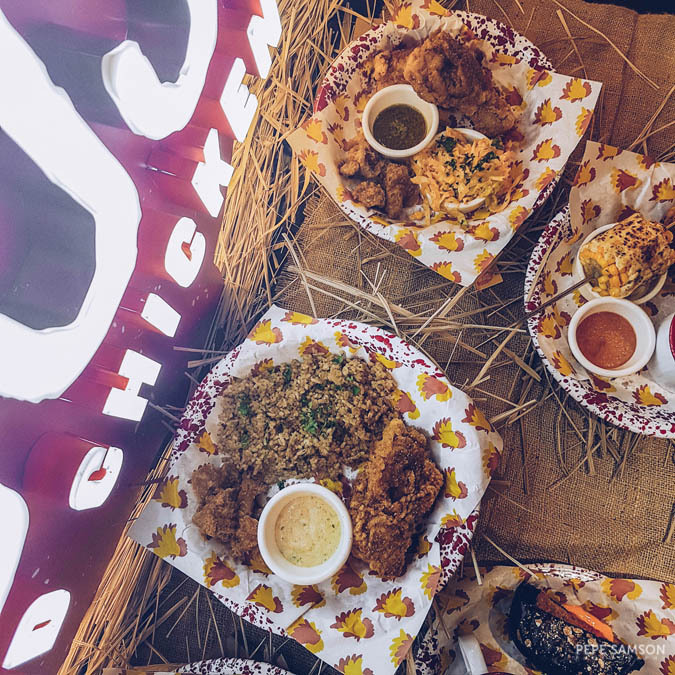 From the same group that brought us Osaka Ohsho, Wee Nam Kee, and Kumori comes Birdhouse, Relish Group’s newest homegrown concept that is—as the name suggests—all about birds. 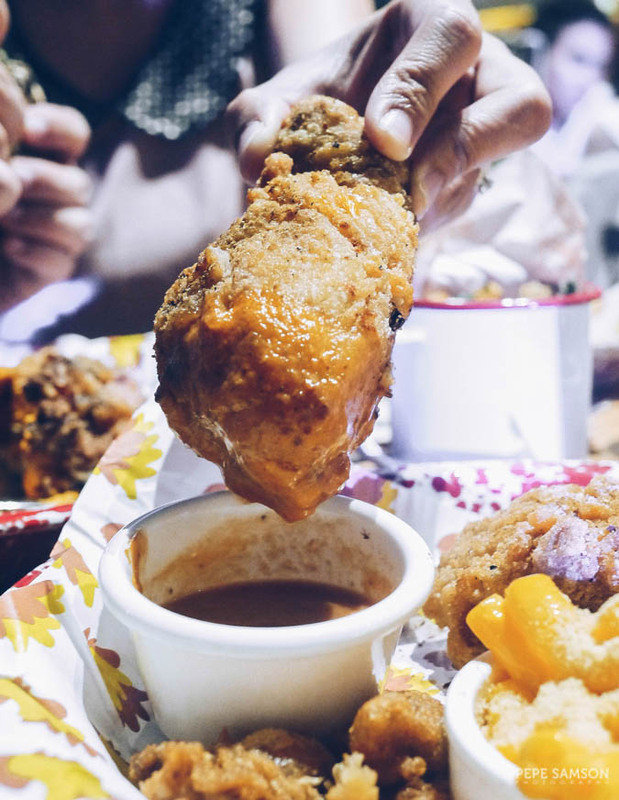 No, it’s not an aviary; it’s a fast casual restaurant that glorifies chicken and offers tasty upgrades to this well-loved fowl. 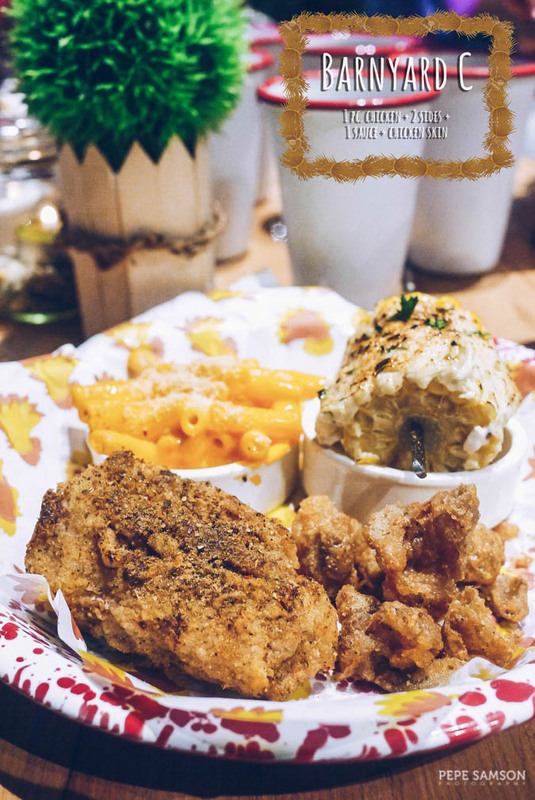 Situated at the food court of Uptown Mall in BGC, Birdhouse is a welcome addition to the fast-growing dining scene of Taguig City. 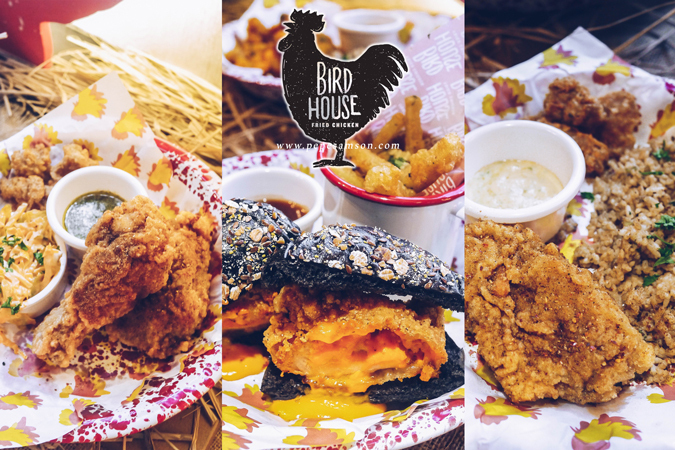 Curious to know how Birdhouse’s chicken differs from the rest, I trooped to Uptown Mall for the exclusive sneak peek. The first thing I noticed upon entering the Food Hall was how cute the restaurant is decorated. Country touches like roosters, hay, white wooden fences, a scarecrow, and birdhouses mounted on a leaf-covered wall adorn the space, instantly changing the vibe. The ordering area, rugged and a bit industrial, stands at the far end, showcasing the restaurant’s straightforward menu. At Birdhouse, they want you to enjoy your chicken so they keep the selections compact and unfussy. Choose from the 5 set meals available, add some sides, and pick your sauces, then grab some extra dessert and drinks if you'd like. 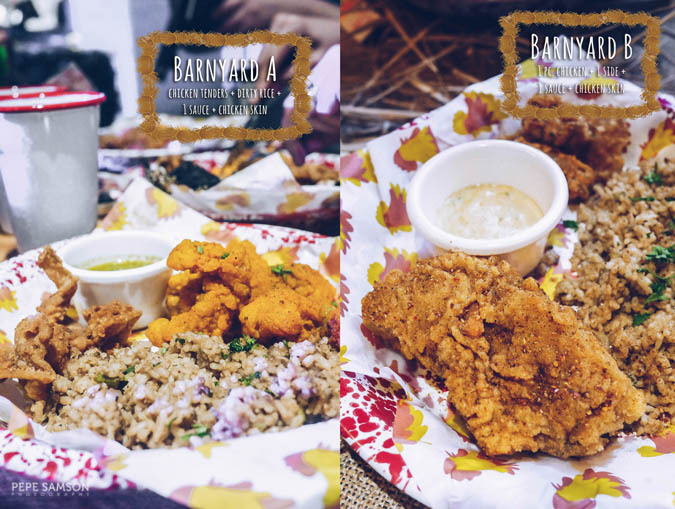 Barnyard A to E feature chicken in different forms, from chicken tenders and legs to thighs and—are you ready for this—salted egg lava chicken! Check out the photos below of the different set meals. The classic Milk Gravy pairs really well with the chicken as it offsets the saltiness with some sweetness. If you want something sweeter, go for the interesting Peach BBQ sauce. For something herby and sour, the Green Goddess is the perfect sauce to enjoy your chicken with. And finally, if you’re like me who loves anything with truffle, you have to try the Truffle Ketchup which has slightly tangy flavors mingled with truffle. Of course, I poked at my blogger friends’ plates and tried their choices as well. 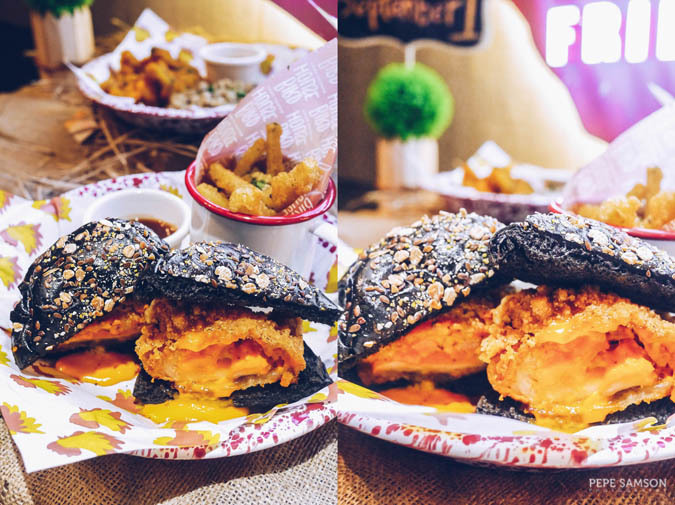 I liked the Salted Egg Lava Chicken Sandwich (PhP250, a la carte)—a juicy chicken fillet stuffed with salted egg yolk, then sandwiched between squid ink Brioche buns. It has saltiness, a hint of creaminess from the egg, and a slight acidity—the balance of flavors doesn’t overwhelm the palate. Pair it with the garlic fries—if you love salty, herby potato like me, you will get addicted to this too! 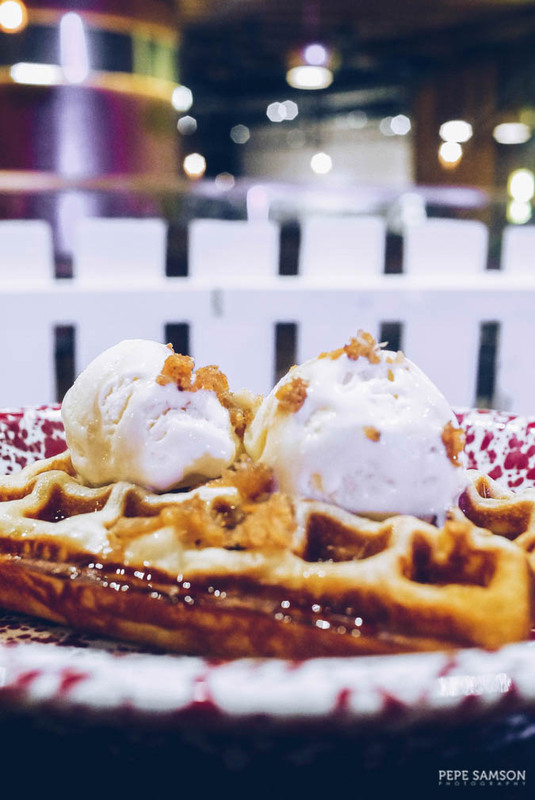 Finish off with the Waffle and Ice Cream with Crispy Chicken Skin (PhP150)—which is big enough to be shared by two. 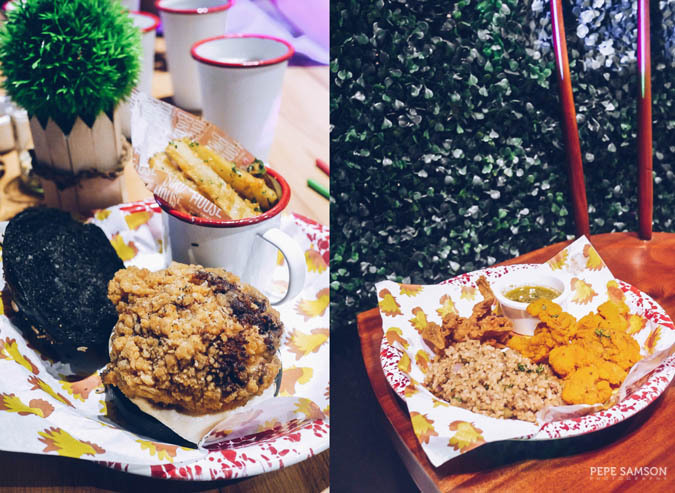 Overall, I find that Birdhouse delivers quality food and stands out from the rest of the stalls at the Food Hall. 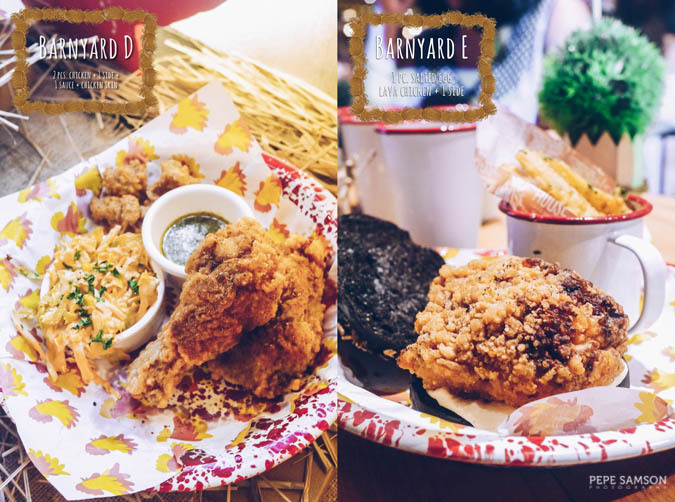 It’s a paradise for fried chicken lovers, and a great and affordable choice for lunch outs and dinners with friends and colleagues. I can’t wait to go back for more. Do you love fried chicken? 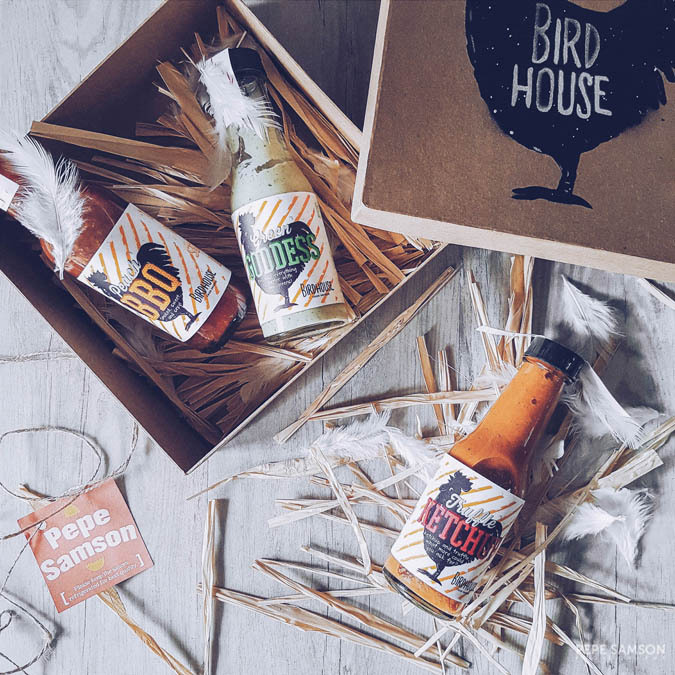 What do you think of Birdhouse? My meal was sponsored by Birdhouse BGC. All opinions, however, are my own.